Home > More News > Evers Road Bridge Project Speeding Up! 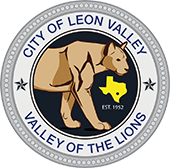 On behalf of the City of Leon Valley, we thank you for your patience as we work to improve this roadway and reduce the road closures from flooding. The worst part of the job is complete, with all utilities having now been relocated and connected. The contractor is expecting asphalt to arrive at the end of this week! They have completed the concrete box culverts on each side, new sidewalks are being built, the bus pads are completed, and we are expecting bridge railing within the next two weeks. The contractor has added 13 rain days to the 150 day contract time, but it looks like there is no more rain in the immediate forecast. The roadway is expected to be opened to through traffic by mid-August. They will work on completing the rest of the project by the end of August or first part of September. As always – this project is weather dependent!